Up until the 1960s, football historians believed that the first football player to be paid for his services was Indiana, PA's John Brallier. 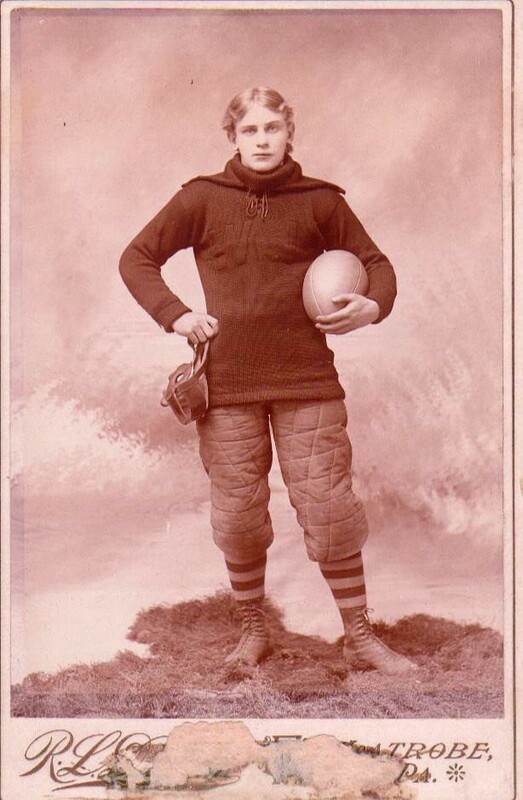 Brallier was an eighteen-year-old high school student playing quarterback for the Indiana Normal School football team when the Latrobe (Pennsylvania) YMCA football team paid him $10 and "some cakes" to lead their team against a team from Jeanette, PA, on September 3, 1895. Brallier, a strapping 5' - 6" and 125 pounds, led Latrobe to a 12-0 victory, then played college ball at Washington and Jefferson College before becoming an orthodontist.